When I pressed "play" on Interstellar, I had no idea that I was about to have one of the most powerful emotional experiences of my movie-watching life. Sure, subconsciously I took into consideration that I would cry at the end of the movie. Maybe. I was not prepared to legitimately cry near the starting, in the middle, at the climax (multiple places), and at the resolution (in two places). On top of that, I was not expecting to experience emotion that was that raw. I don't know if I've ever experienced emotion that raw from a movie. So what in the world did the Nolan brothers do? Last time I talked about how pairing/crossing opposites can make a story more powerful. It's because of the breadth. It's the breadth between extremes that enables the audience to feel emotions more powerfully. We tend to think that if we want to write a story that hits a particular emotion powerfully, that we have a lot of scenes that hit that emotion. So if we want a story that makes people cry, we might think of having most of the story made up of tragic scenes. But the audience actually experiences stronger, raw-er feelings, when you contrast emotions. Tragic scenes become more powerful when we have humorous scenes. It all gets back to writing with foils. (You can read my post on foils here). When we pair opposites, we create contrast--we are pulling the audience from one extreme to the other. We are yanking them from one end of the spectrum to the other, and all that breadth they travel makes the experience feel sharper. (David Farland did a post on this once by the way.) It's like going from hot water to cold. The cold feels colder because we just experienced the hot. 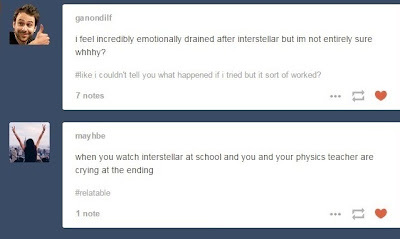 First though, let's talk about the kinds of emotion Interstellar evokes, because Interstellar elicits powerful emotions. The movie is emotional not just in the I'm-about-to-cry sense, but its emotional in that it evokes a variety of contrasting emotions and evokes them in a strong way. 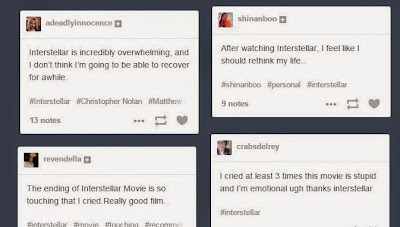 The heartache emotion is very human, and in Interstellar it comes from relationships. And, I might even throw Dr. Mann in here. Sure, he's an antagonist, but I think we feel for him when he comes out of cryo-sleep and explains how he honestly tried to do the right thing, but couldn't handle it after so many years. * The Nolans capitalized on this emotion by focusing on very universal relationships. Father-daughter, with both Cooper and Murph and even Amelia and Dr. Brand; father-son, with Cooper and Tom, and Cooper and his father-in-law. Everyone in the audience has a parent. Everyone in the audience has a family. Wonder is that feeling of awe and curiosity mixed together. This is the trademark emotion of any speculative genre--fantasy, science-fiction. The point of this genre is to elicit the emotion of wonder. The audience seeks out that genre to experience that specific emotion. This emotion usually comes from something new or otherworldly. All of the intriguing space stuff--the wormhole, the black hole, the different planets, heck, even just that beautiful pan of Saturn and the shots that show stars. Gravity, time, and the idea of higher dimensions, even "They" who are from a higher dimension. All of that science-fiction stuff. The tesseract, which is what they call that time dimension Cooper is in at the end. * I think this emotion gains exceptional power in this movie because it pulls from what the human race already gets wonder out of. We all wonder about space and time. The content evokes wonder on its own, but the Nolans capitalize on it by grounding all that wonder into plausible science. It's ironic, but it becomes more of a curiosity, when it's tied to reality. Even fantasy is more interesting when it seems to have some kind of science to it, or calls back to old concepts, like dragons and vampires, that people used to believe in. It's more interesting when it's tied to truth. For a non-speculative example, look at The Da Vinci Code--one of the bestselling books of our day. One of the reasons it did so well was because it was tied so well to history. It evokes wonder too. The feeling of horror, of terror, is actually closely related to wonder. Author David Farland explained that when we encounter something new, it can be more fascinating than we expected, which makes us feel wonder, or, it can be more terrifying than we imagined, which creates a feeling of horror. 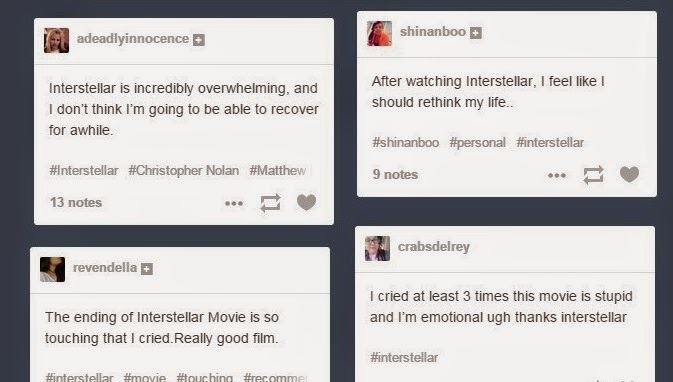 So while we don't think of Interstellar as a "horror" movie, we still experience that emotion. Romily expressing his fears of dying out in the vacuum of space reminds us of the terror of space travel. The way time flows on Miller's planet, encountering the massive waves on it, and watching Amelia and Doyle try to get back to the ranger gives us that horror feeling. Dr. Mann trying to kill Cooper, and then leaving Cooper to suffocate. And frankly, I think Cooper still taps into that horror feeling when floating around, moaning/crying in the tesseract. 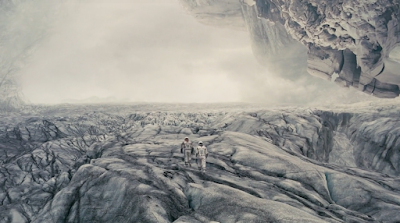 * Like wonder, the terror in Interstellar feels particularly powerful because it's playing off our own imagined fears of being in space. It's more terrifying because it's tied to truth. Most of that stuff could really happen. Just as horror goes with wonder, I think the feeling of love goes with heartache. 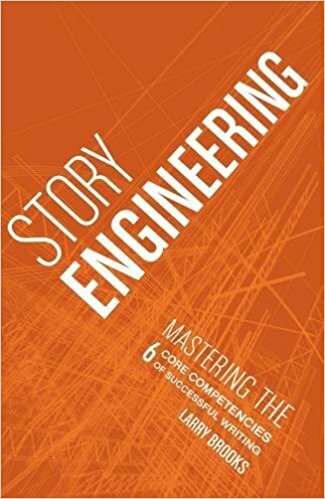 *This emotion gets an extra push from thematic elements in the story. Those are the big four. And the emotions we experience here feel very "raw" (as I like to call it), because we relate so well to them, to the wonder and horror of space, to the relationships. We can put ourselves right in those situations and experience those emotions. Here are a couple of other emotional draws I saw. In some parts of this movie the suspense is palpable. On Miller's planet trying to get the data before being swallowed up in a wave. A mystery draws us in, making us emotionally invested in the story, by promising that a puzzle will be solved, and as hints drop, we get a little blip of excitement as we try to come to conclusion about what it all means. Tars and Case give us some nice comic relief, but we also get some other instances between Cooper and his family, him and Amelia. Okay, so notice we have a beautiful variety of emotion being tapped into for this story. But notice even more how powerfully the Nolans are tapping into each one. Tars's lines aren't just shrug-the-shoulder funny, they're bona fide funny. Cooper watching his messages from home isn't just kind of sad, it's devastating. The wormhole and black hole and everything else in space isn't just kind of cool, it is wonder at its max. In short everything was pulled up to a high-quality of writing. Nothing was left blah, or okay, or "good enough." And if you aren't a writer, take it from me, writing everything so that it's more than "good enough" or even more than "great" is freaking difficult! This last week I wrote about five different variations of the same short dialogue exchange because it wasn't funny and witty enough, it wasn't funny and witty enough. It didn't have enough of a punch, and then the fourth one I wrote was too mean. So I had to come up with another. It's not about just about making sure you've got a nice variety of emotions, it's also making sure that those lines that carry that emotion pack a bit of a punch. Think about how the emotion of wonder would have paled if the Nolans decided to make the wormhole and black hole look like they always have in movies. We would still get a sense of wonder, sure, but it would be pale. Instead they packed a punch, created something that hasn't been seen before, created something real. They didn't settle for blah, they took the quality all the way up, baby. And even just doing those two things is great. But they did more to ramp up the emotion. Look at some of those pairs. Wonder and horror. Love and heartache. This is where we get into the crazy stuff. What's genius is that the Nolans often smashed those emotions together. We get this wonder of the the wormhole, but once they get far enough inside it, we get scared when the Endurance starts shaking. We get the wonder of Miller's planet and then the horror of the waves and Doyle's quick death. We get the wonder of Mann's planet, and then the scare of him trying to kill Cooper, Cooper suffocating in space, and watch in horror as Mann blows up the Endurance. 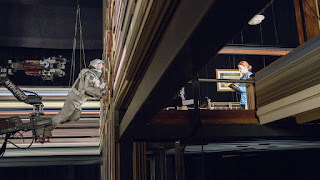 Everywhere in the movie, the Nolans are balancing the horror found in the realities of space travel with the wonder found in the beauty of it. Because horror and wonder contrast each other, and the Nolans pull us from one to the other, we feel each emotion more sharply. 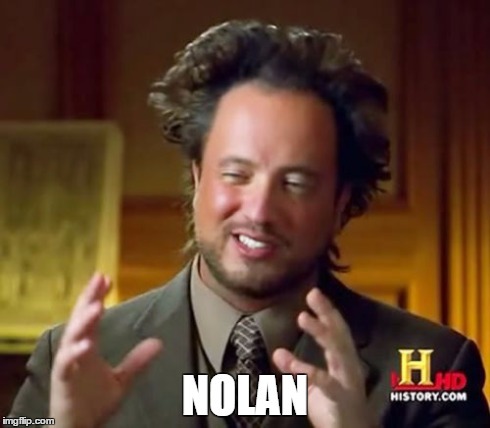 Last week I talked about how the Nolans' broke some of the traditional sci-fi rules (not real rules, but you get it). They made the future very similar to our day, instead of teeming with new technologies. This made the futuristic setting more relateable to the audience. They made the apocalypse gentle, and the Earth still beautiful so it was sad to leave it. Do you know why this works so well? I'll tell you why it works so well. Imagine that they didn't do those things. Imagine that their setting looks very futuristic. Imagine that Earth is experiencing a very violent apocalypse, and it's a dreadful place. That setting of Earth is jammed packed with wonder and horror. So instead of pairing opposites, we've created more of the same thing. This isn't necessarily wrong, mind you, but now we have the otherworldly competing with the otherworldly, which dulls our emotional sensitivity to it. We're jumping from one pool of cold water to another pool of cold water. We still feel the cold, but it's not as sharp. Instead, we're becoming numb to it. 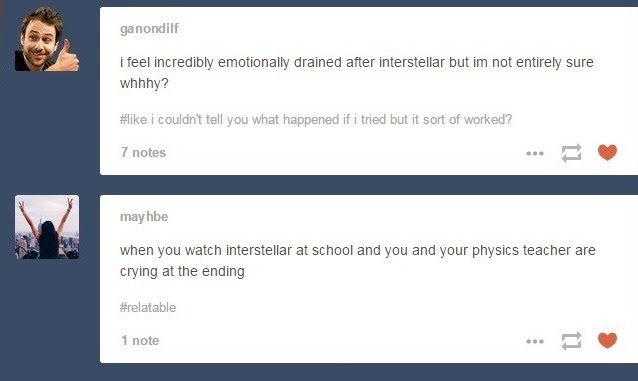 Interstellar didn't do that, and wisely so. 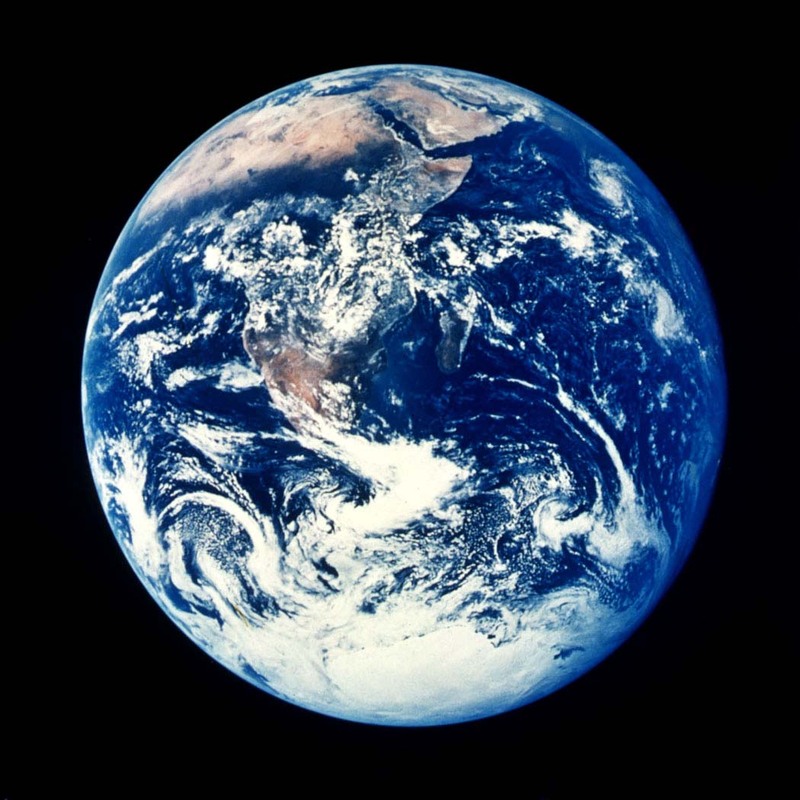 They gave us the hot water--the relateability, the beauty, the homey setting, the farm, the baseball game, the parent-teacher conference, with only a tiny bit of wonder and horror (because, we did need a species-threatening reason to leave Earth after all. There had to be something to cause that). By making Earth and space opposites, we feel each more powerfully as we travel between them. Everywhere, the Nolans' are crossing opposites and hitting us right in the "feels" because of it. The survival of the whole human race crosses with a single human relationship: Murph and Cooper. By having both parts in the story, each part is more powerful. We understand the importance of saving the human race better because we have the beauty and complexity that is Murph and Cooper's personal relationship. As Cooper strives to save the human race, we understand better the significance of his relationship with Murph. Each one comes into sharper focus because of the other. And it's made more effective by how relateable the relationship of a parent and child is. It's universal. It's unconditional. It's very human. The Nolans pair opposites even inside Cooper and Murph's relationship itself. At the beginning of the movie, we can clearly see that they love each other and have affection for each other. But that love is paired with the anger and hatred Murph feels over her father leaving. If the Nolans had instead only made Murph and Cooper's relationship loving and affectionate, it wouldn't even been half as effective. It wouldn't have even made half the impact on the audience. It seems so ironic, but it's the very fact that love is contrasted with hate that makes their relationship hit us in the gut, that makes us feel the love more strongly. And still the pairing goes further. We see over and over again Cooper's loyalty to his family; we feel it. He's always focused on getting back to them. But loyalty is the opposite of betrayal, which is exactly what Murph feels when she finds out Plan A was a ruse. Again, there is a moment in the story, the midpoint (when Dr. Brand dies), where these two emotions cross directly. And in the wake, Cooper becomes more determined than ever to get home, and Murph becomes more angrier than ever that her dad left her for dead. So betrayal and loyalty cross directly half way through the movie, while the intimate and vast cross directly at the end (like a talked about last time). So the Nolans paired opposites in the overall story, on the "macro-level." But if you pay attention, you'll see it happens in small instances too. When Cooper and Murph reunite, they don't have this huge sobfest to create heartache. Instead we get to see them laugh over the fact Murph told everyone Cooper loves farming. It makes the heartache more potent. 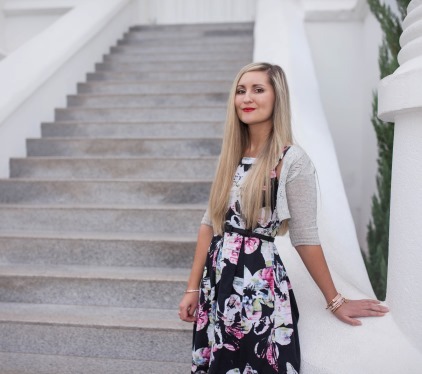 When we switch to the serious emotions, it's sharper. (Note, too, that Murph's line, "I knew you'd come back" feels more powerful after we witnessed that she "knew" he wouldn't. Opposites.) Similarly, when Cooper detaches from the Endurance, he jokes to Brand about being only 90% honest with her. Humor and sadness are opposites. 2) High-quality writing to really nail that high note of each emotion. Next week I'll talk about another key reason this story had such a powerful impact. I watched Jurassic World the day I read this article. The wonder/horror comparisons were so fun to look at after having your thoughts in my head. Of course, I would have still had these emotions, but it was fun to have them on the meta-cognitive level. Thanks. Thanks for reading Jason, Oh, yeah, that movie would have great wonder/horror comparisons. I'll keep that in mind when I see it.